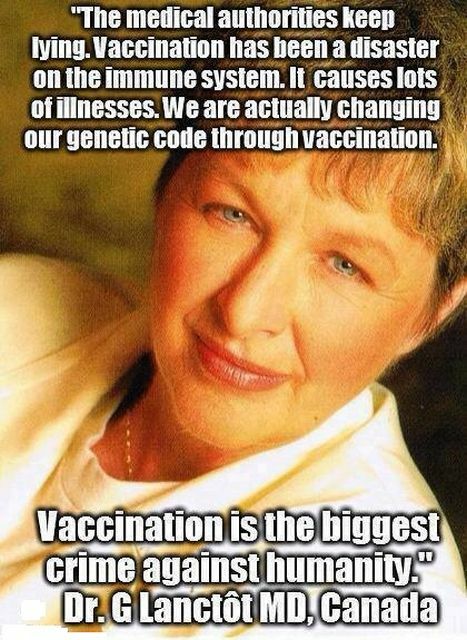 A Facebook friend has just sent me this piece of vaccination propaganda, which in my opinion amounts to “an orchestrated litany of lies,” to use New Zealand Justice Mahon‘s famous line. 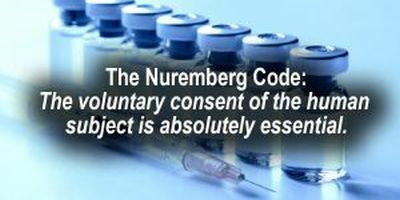 The testing of vaccines is furthermore carried out by the vaccine manufacturers themselves, which gives rise to a gross conflict of interest and amounts to an open invitation to vaccine manufacturers to resort to large scale and routine scientific fraud and to abuse the trust the government has unfortunately extended to them. Vaccine manufacturers are taking full advantage of this situation, especially when testing vaccines for safety and effectiveness. The FDA turns a blind eye to this when it comes to licensing vaccines, which are in reality untested. 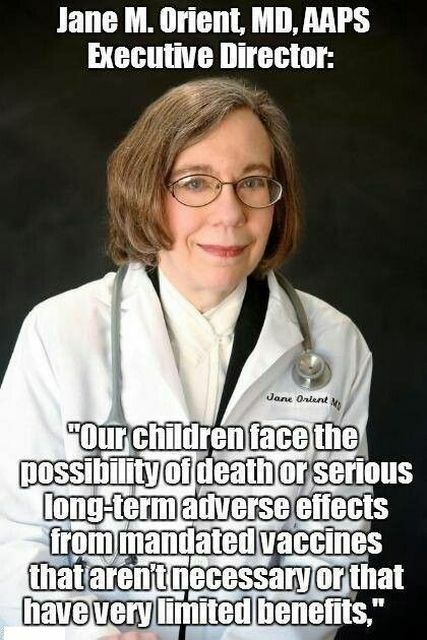 This means that children of vaccinating parents are used as lab rats for what amounts to a large scale medical experiment without informed consent and without a control once a vaccine has been made part of the government-promoted vaccine child poisoning schedule. The “gold standard” of using “unrelated vaccines” to study the safety of a new vaccine is dubious at best, comparing adjuvants against adjuvants will simply negate any adverse reactions (there would be little or no difference between the two groups.) This is not a true benign placebo (even the saline placebos contain the carrier – which contains preservatives and adjuvants.) The vaccine schedule as a whole has also never been studied (or the studies haven’t been disclosed). Most studies last no longer than 1 year, use children over 10 years of age and the post-market monitoring system is nearly non-existent (less than an estimated 10% of all adverse reactions are ever reported to VAERS). 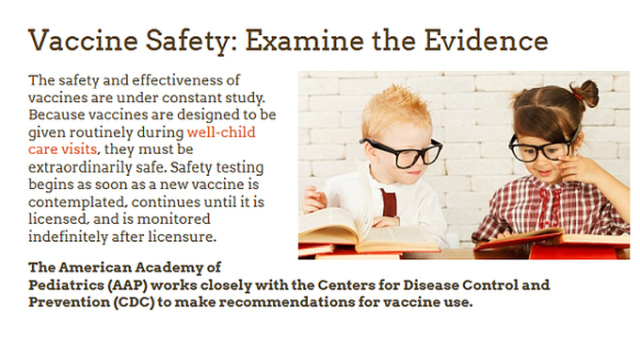 Ask your doctors for the inserts to see for yourself the possible side-effects and how the testing was done – not the glossed-over “vaccines are safe” pamphlet – but the insert – with all the fine print – you can also find these online. This system is corrupt and broken – we could easily have better studies – simply use the voluntarily unvaccinated as a control group – that’s a pretty easy way to work around the “ethical issues” – which is actually not an issue – just another avoidance tactic. We should be demanding better studies! 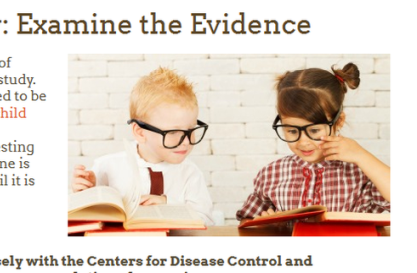 It is interesting to note that the featured photo in the article shows two children wearing glasses, because vaccinations are known to cause eye problems. The late Dr. med. 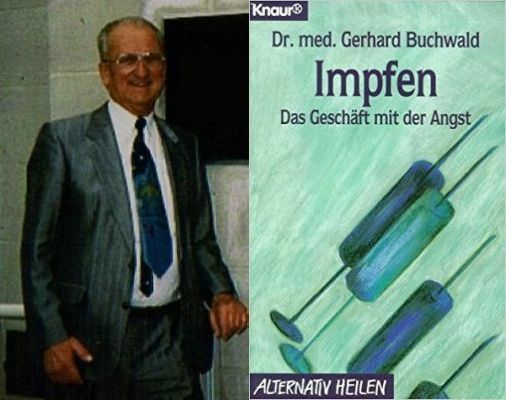 Gerhard Buchwald, who was a prominent vaccine-injury expert in Germany’s social courts, used to point out that in the class photos of his father’s generation, few if any of the students wore glasses, while in class photos of his generation quite a number of students are seen to wear glasses, and that in modern school photos even more students are seen to wear eye glasses. Dr Buchwald strongly suspected this increase to be vaccine-related. 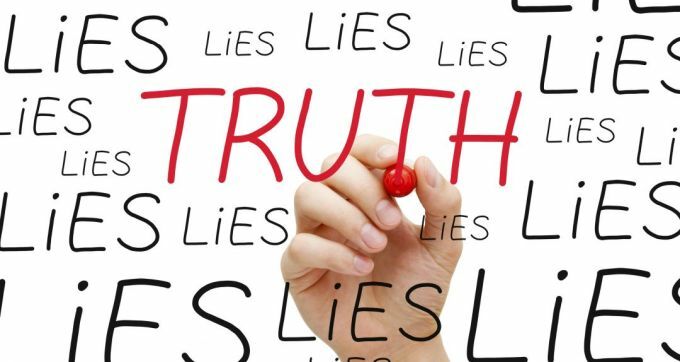 Both the AAP and the CDC have been shown to not be worthy of the public’s trust. The AAP has been pushing mandatory vaccination in spite of mandatory vaccination being a gross violation of freedom of choice and the fundamental right to informed consent concerning medical procedures, including vaccination. 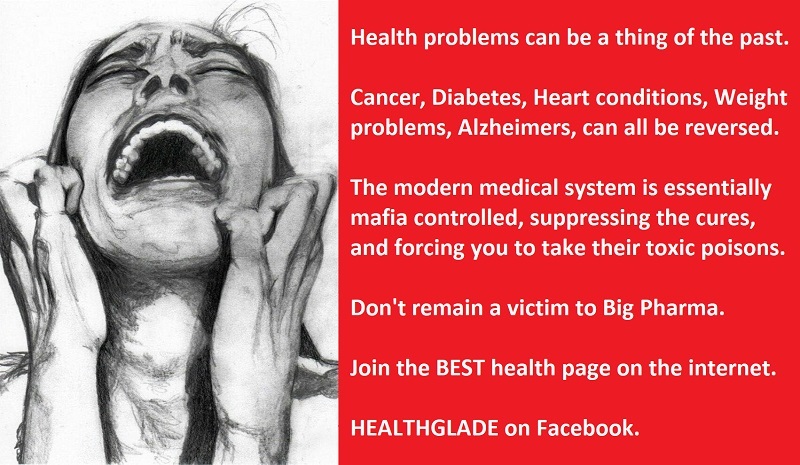 The CDC has been found to have engaged in gross corruption and to be in serious breach of medical ethics. If vaccines are really safe, why has the US Vaccine Injury Compensation Court awarded $3.7 billion of taxpayer money in compensation for severe vaccine-related injuries and for vaccine-related deaths since it was established in 1988, while at that same time the US government exempted vaccine manufacturers from financial liability for vaccine-related adverse events? 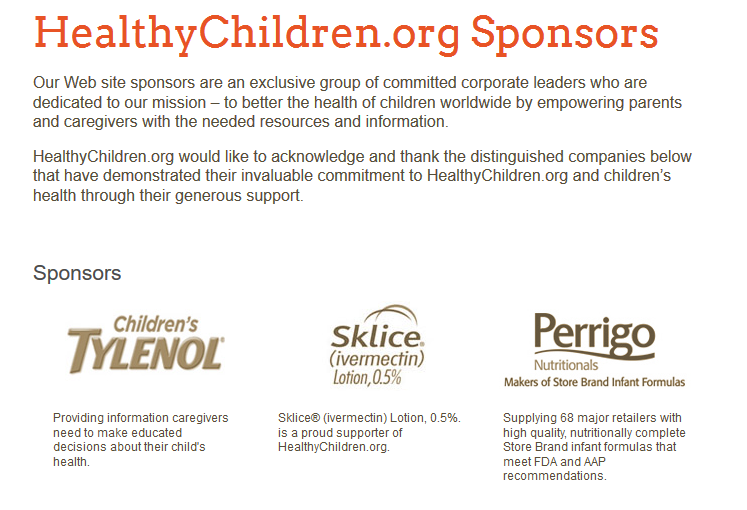 How surprising – or perhaps not – that one of the sponsors is the manufacturer of Tylenol, a drug responsible for accidental poisonings, liver failure and associated deaths. – The Truth about Tylenol: Dangers for Infants, Children, and Pregnant Women. 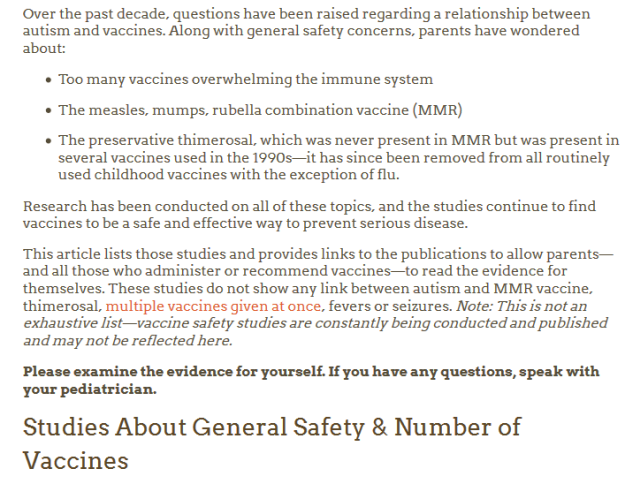 – Acetaminophen (paracetamol) use, measles-mumps-rubella vaccination, and autistic disorder: the results of a parent survey.